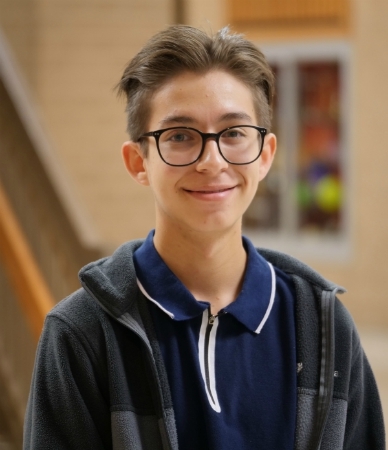 A Legacy High School senior is among the less than 1 percent of high school students in the country to be named a semifinalist in the National Merit Scholarship Program. Phillip Ipock earned the distinction based on his top score on the Preliminary SAT/National Merit Scholarship Qualifying Test (PSAT/NMSQT). National Merit Semifinalists have the opportunity to continue in the competition and earn thousands of dollars in scholarships that will be offered in the spring. Out of more than 1.6 million entrants, only 16,000 students are selected as National Merit Semifinalists. In February, 15,000 of those students will be named finalists. National Merit Semifinalists are selected based on their skills, accomplishments and potential for success in rigorous college studies, without regard to gender, race, ethnic origin or religious preference. The National Merit Scholarship Program was founded in 1955 to identify and honor scholastically talented American youth and to encourage them to develop their abilities to the fullest. Learn more about the program.